Learning to master the art of public transportation can be one of the most frustrating elements of travel, especially in unfamiliar international destinations. There is nothing worse than finding yourself in the middle of rush hour madness as your head spins trying to figure out which direction is which, when you finally realize your train already departed -- from a completely different track! To get you started, and help you look less like a tourist, consider a vacation to one of these spots where the cities’ subway systems continually receive high praise for ease of navigation, cleanliness, and even station amenities. Hong Kong’s Mass Transit Railway, called the MTR, is the most efficient and one of the most inexpensive ways to navigate Hong Kong. Traffic is brutal most of the day and that translates into higher cab fares and lengthy delays, especially when traveling between Hong Kong Island and Kowloon. A nice perk of the Hong Kong MTR is the availability of 3G coverage so riders can make video calls, even underground. Be sure to get an Octopus Card that you can add money to. Use it pay transit fares, and other items like food, convenience store purchases and more. The London Underground system is affectionately known as “The Tube” and is a tourist attraction in itself. Its iconic logo is duplicated all over the world, especially in English pubs. The London Underground is dated, but given that it opened in 1863, it does a great job providing efficient transportation for London residents and travelers. Much like the London Underground, New York City’s subway system is also iconic and omitting it from any list of the top subway systems would be unjust. It’s not the cleanest and safest of the subway systems included on this list, but it is easy to navigate, efficient, and the biggest plus – it runs 24 hours a day. The Moscow subway system continues to garner praise from commuters and travelers alike. Architectural delights like chandelier lighting and ornate architecture earn high marks, while the more than 180 miles of track and inexpensive tickets appeal to the practical side of travelers. Moscow subways serve over 175 stations and the only downside is many of the stations still feature stair access only, limiting wheelchair users to newer stations equipped with elevators. 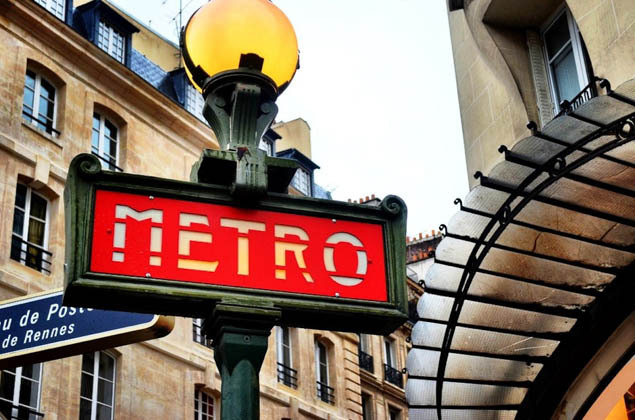 Despite the need for some upgrades, the Paris Metro is still one of the most efficient subway systems and handles over 1.5 billion passengers each year. With approximately 300 stations, it has been operating for over 100 years. Look for themed artistic signage museum exhibits and even ornate tiled vaulted ceilings in some stations. Aside from the obvious crime situation that plagues Paris and its subway system, the other negative is the lack of ample elevator access in many of the older stations. The Seoul Metro system scores big points with travelers for its modern advances and amenities like cell phone service and Wi-Fi on the trains. Many trains are decked out with televisions and the best – heated seats in the winter. Despite how crowded it typically is, the Tokyo Metro system is the best way to get around the massive city. It is recognized as one of the biggest and most crowded systems in the world, with nearly 300 stations serving Tokyo. Exploring Tokyo’s Metro system is more than just about getting around, some stations feature entire shopping malls and endless dining options. Walking between platforms in Main Station for example can easily be a 25-30 minute adventure. Some hotels even have dedicated Tokyo Metro access and there is a line that leads right to the Tokyo Disney Resort. While Taipei’s Metro System (MRT) is relatively new and still expanding, it’s definitely one of the most efficient and may ultimately rival some of its Asia neighbors. Cars are air-conditioned, super clean (food, smoking and gum chewing are banned), and stations feature women-only cars available at night. With announcements in Mandarin, Taiwanese, Hakka and English, there is no chance of missing your stop in Taipei. Many stations have good shopping and Main Station is worth exploring, especially with its gigantic food court featuring a wide variety of ethnic eats and specialties. Where is your favorite subway system?